I never share recipes on this blog....there's always time for a first, right? Plus, this one rocks. Trust me. Years ago, in Colorado, I was at a party and the caterer was making these great, thin crust pizzas. I was so curious how she was making them without a lot of fuss, so I watched her in the kitchen and asked questions. What she showed me could not be any easier. My family has adored these go-to pizzas ever since. I make tortilla pizzas on the fly all the time when friends stop by because most often, I have all the ingredients on hand. Want to make your own? Preheat over to 400 degrees. Line a baking tray with parchment. Lay out a tortilla and cover with pizza sauce (about three tablespoons of sauce as too much moisture will make the crust too soggy). When you spread the sauce, you will see most of the tortilla right through it - that's how light you need to go on the sauce. 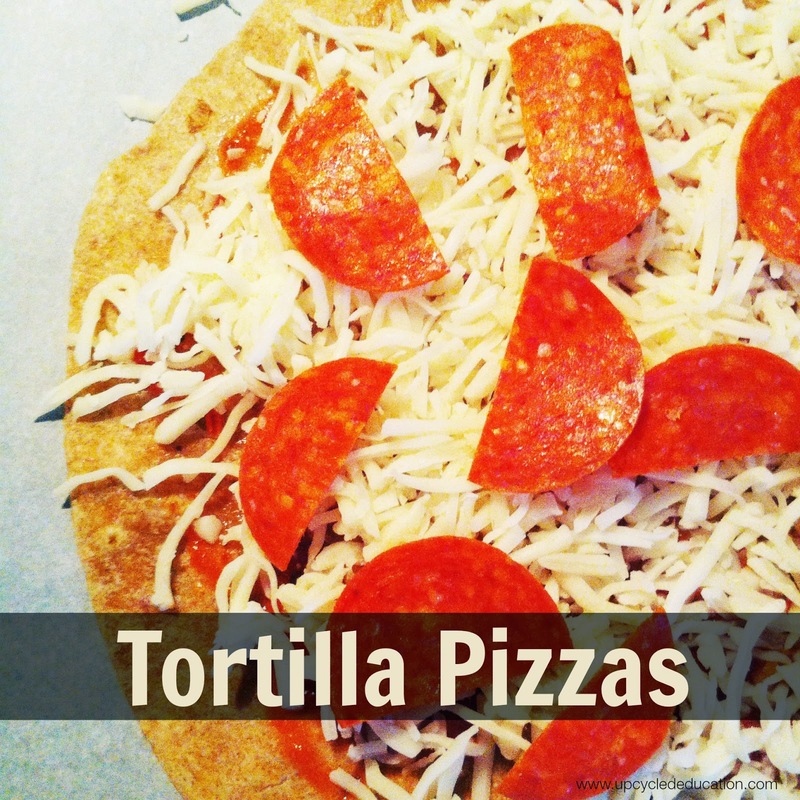 Cover with cheese (like in the photo above) and any toppings. But, again, the thin tortilla cannot handle an overload of toppings, so keep it tasty and not over-topped. Bake in the oven for 8-11 minutes until golden and bubbly. I just realized, I did share one other recipe on this blog. It is one for Jedi here. Ha! PS - Did you see yesterday's post? Come join Sue and I for a coaching workshop on June 7th!